That’s the message from Paul Baines, who has chaired the Gillies McIndoe Research Institute and the Gillies McIndoe Foundation for three years. 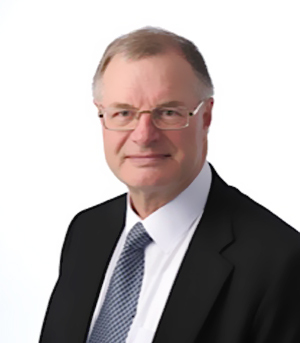 Paul began his association with the GMRI following a successful career in the financial sector, from which he stepped down in the 1990s to pursue his varied and extensive personal interests. For the last 20 or so years, Paul has served as a director or trustee of a variety of private sector, public sector, arts and charitable organisations. Apart from his involvement with the GMRI and GMF, he is currently a board member of Chamber Music New Zealand, IHC Foundation, New Zealand Institute of Economic Research, The New Zealand Treasury, The Todd Corporation, and Todd Family Office (Chair). Previous board roles include Barnardos NZ (Chair), Comalco NZ, EDS NZ, Fletcher Building, Gough Group, New Zealand Post, New Zealand School of Music, Queen Margaret College, Reserve Bank of New Zealand, Telecom NZ, Victoria University of Wellington Foundation and Young Enterprise Trust (Chair). “I’ve been very fortunate in being able to work with organisations that are associated with my personal interests. And, in doing so, I have worked alongside many remarkable people. Paul was chair of the GMRI when its premises were opened by Prime Minister John Key in December 2013. Since then the GMRI has continued to build on its research breakthroughs and has reinforced the ‘paradigm-shifting’ reputation that is accorded to Swee and his colleagues. “You have got to have exceptional talent to do what the GMRI research team does. Equally importantly, there must be a high level of dedication, perseverance and a willingness to work hard. “The GMRI team certainly embodies those traits,” Paul says.